A great-looking lawn demands care and attention—and that takes time. The good news is, you don’t have to spend your time or deal with the stress of landscape maintenance. 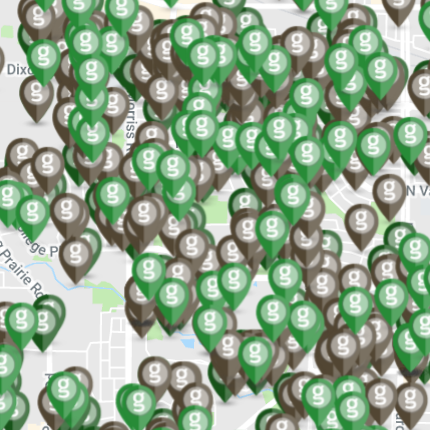 Get the best lawn on the block with Grassperson. 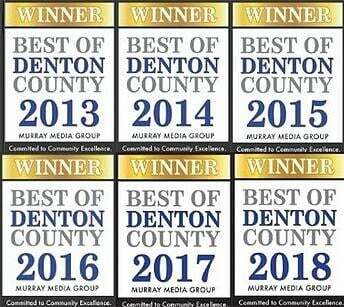 We fight the weeds, make grass green, spruce up tired-looking landscape beds and do the dirty work so you can enjoy the results. We’re responsive. When you contact Grassperson, expect a quote right away and a prompt visit from a team member to measure your property and analyze its needs. We’re professional. 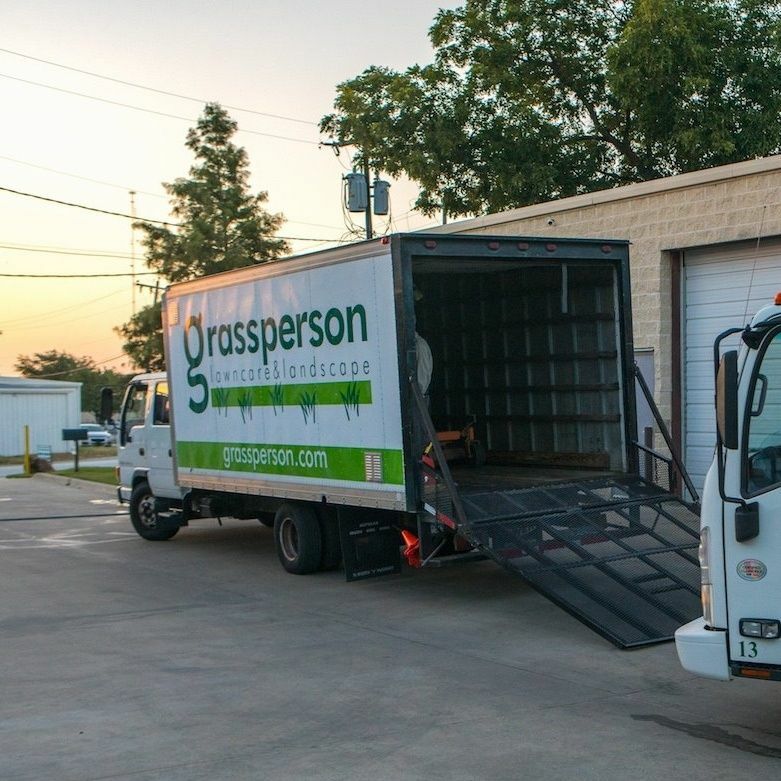 You can depend on Grassperson, with a name in the Denton and Collin County, Texas, area for 19 years and counting. We’re quality-focused. 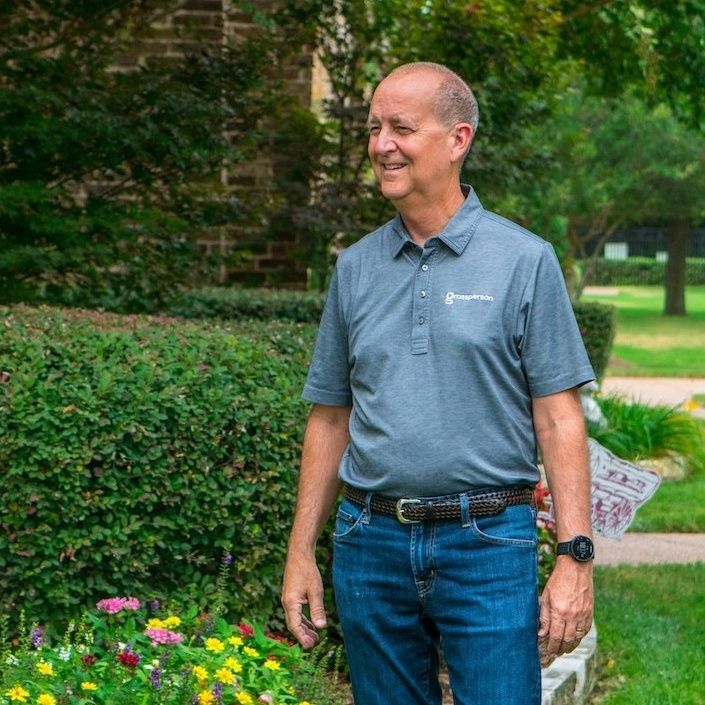 The reason Grassperson lawns are the best on the block is because of our proven 7-step lawn care program and the full-service landscape maintenance we provide. 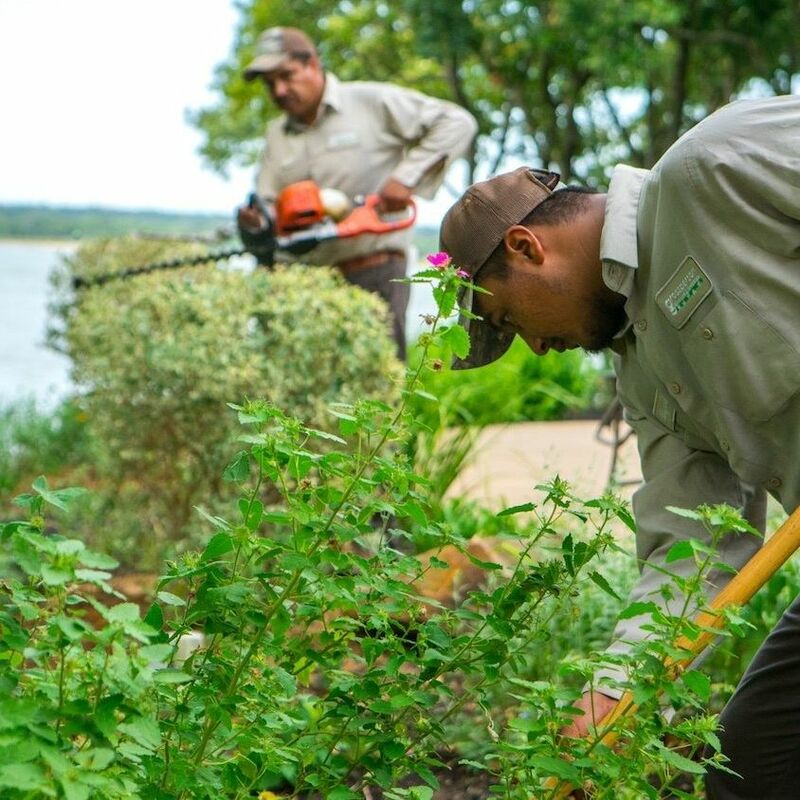 We’re on your property when you need us, making sure the weeds stay out and the yard looks its best. 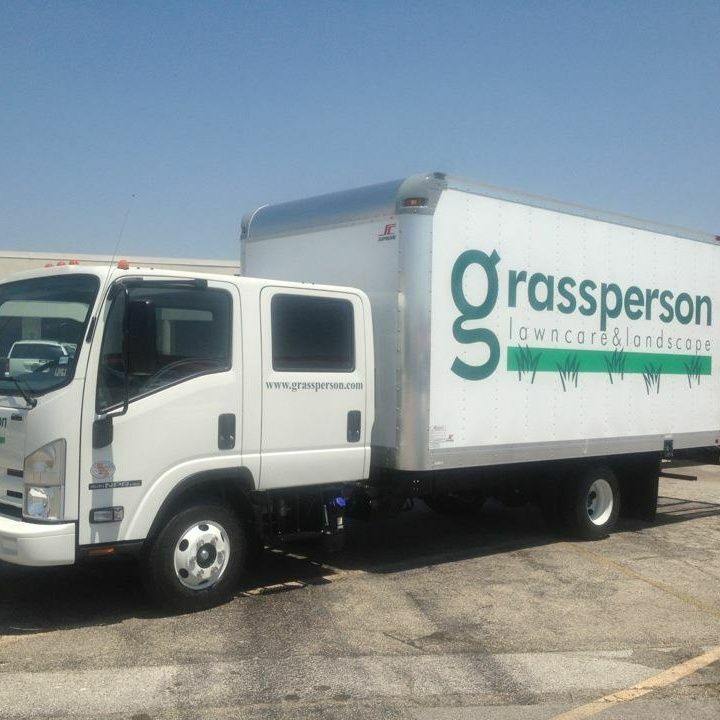 Grassperson provides everything your lawn needs to look its best. 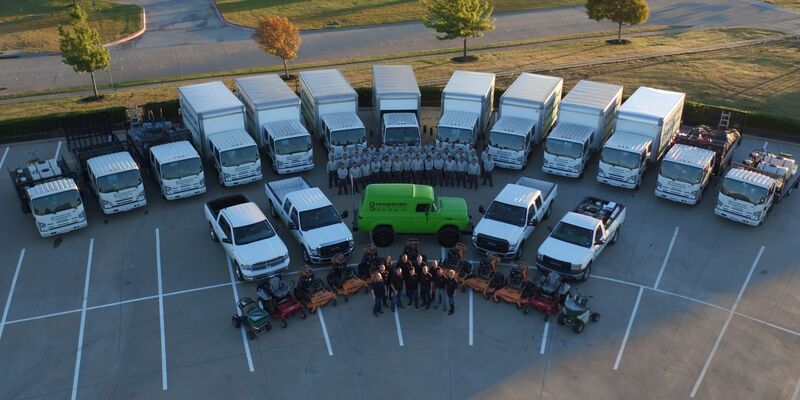 We are a full-service lawn care and landscape maintenance company in Denton and Collin Counties, delivering lawn care, landscape maintenance, irrigation repair, trimming and clean-ups, planting and holiday lighting. Our lawn care program is the foundation—a proven fertilizer, weed- and insect-control program. 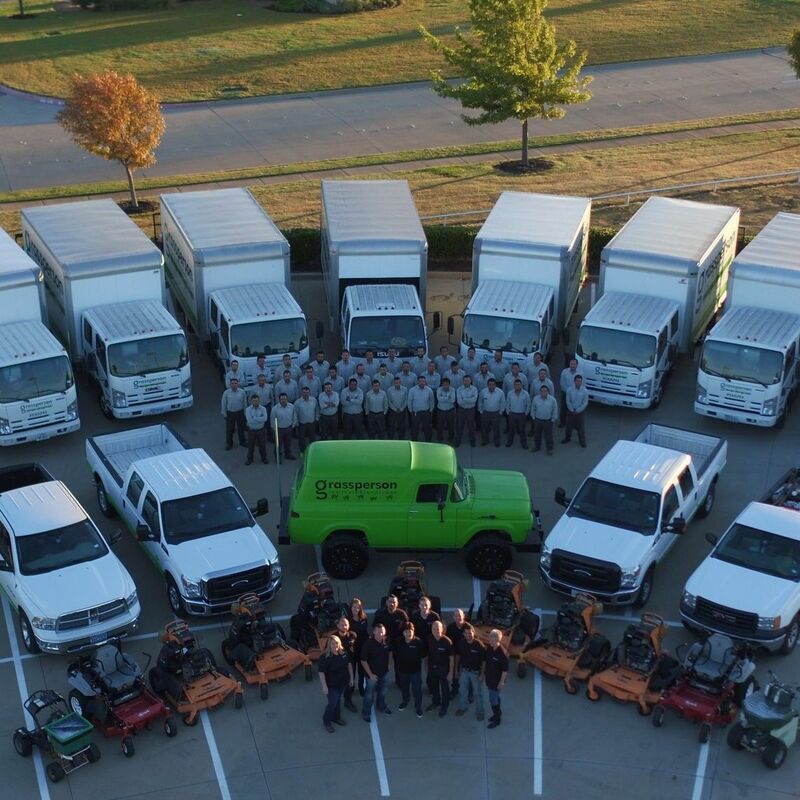 Our landscaping services include mowing, edging, year-round and seasonal maintenance. 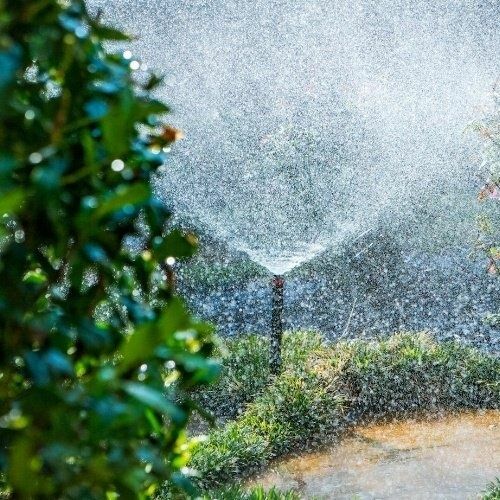 If you need a sprinkler system fix, our irrigation technicians are on the scene. 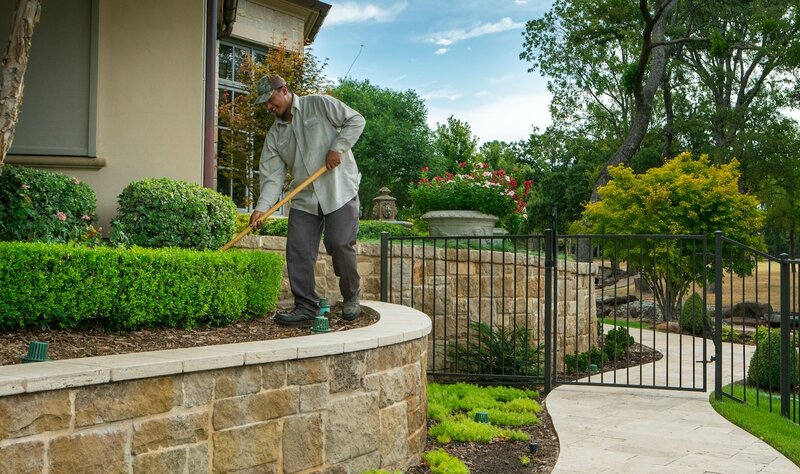 And, when it’s time to take your landscape to the next level with fresh flowers, plants, rock work and even brand-new beds, our team makes it happen. With holiday lighting, your property will shine. We're proud of the services we provide. 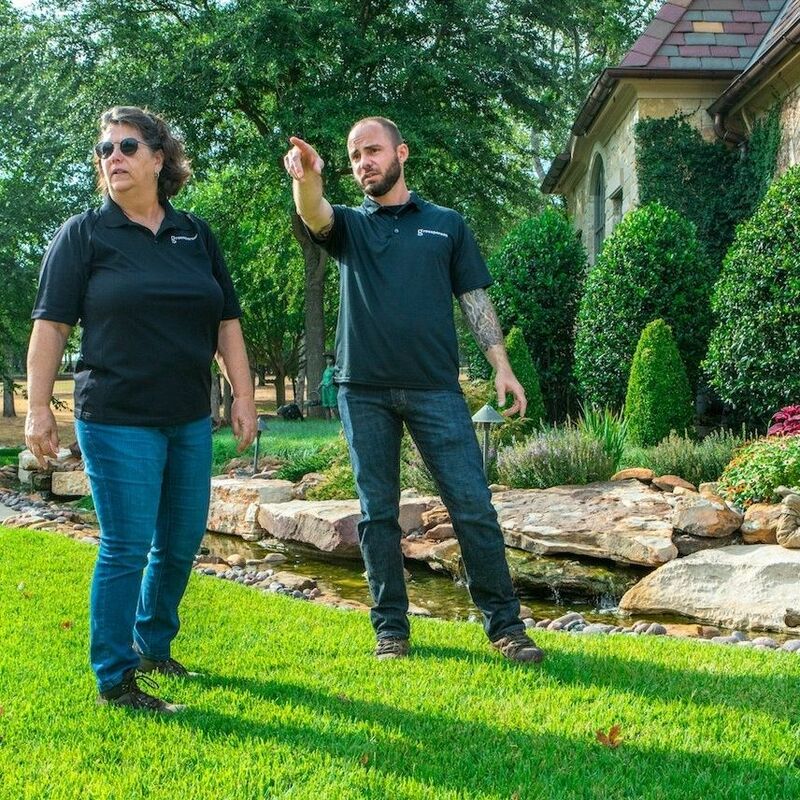 Our team is comprised of landscape experts with a combined 75 years of industry experience. What are you waiting for? 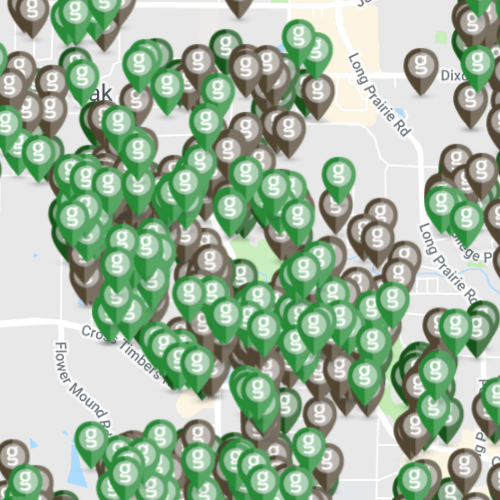 The best lawn on the block could be yours. Just call us and we’ll come out to your property. 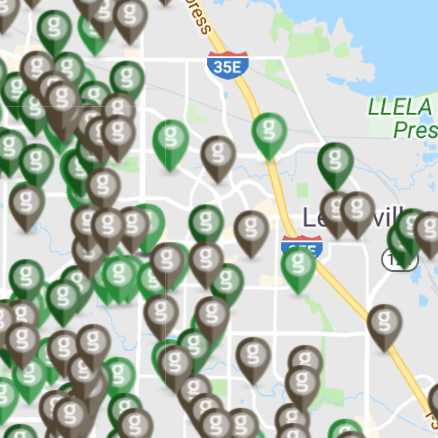 You’ll get a free custom estimate and we’ll talk to you about what Grassperson can do to give you the lawn you deserve without the hassle of doing the work yourself.